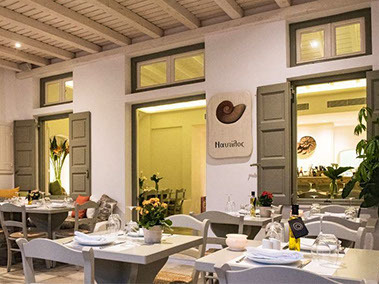 Nautilus, a small contemporary restaurant is located in Mykonos town. Since it has limited tables we suggest to book a table in advance. Extremely chic and sophisticated décor and amazing plates from Greek cuisine.